Address clients and partners by original way is always a bit of a challenge. 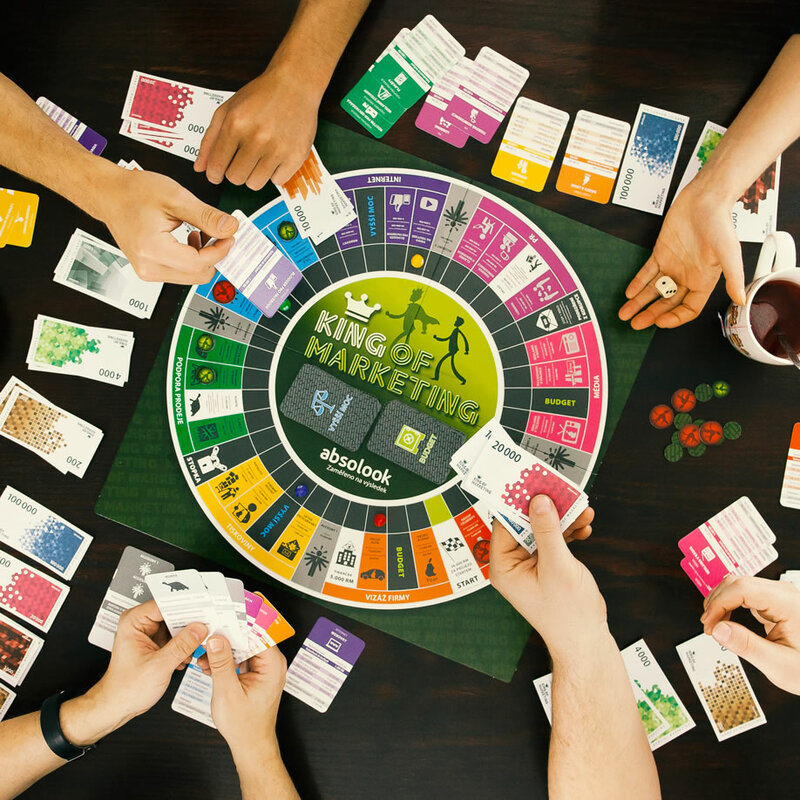 This year, we pleased our clients and partners by funny board game called King of Marketing. We have designed a concept, elaborated visual form and integrated thematic texts. We have created an imaginative gift, which is based on our corporate identity. King of Marketing introduces players to the rigors and practice of marketing. While playing they will meet an accounts, will try to create several successful campaigns and they can buy PR agency or media house. Creative design and accurate texts addressed many donees and earned a proper feedback – we received many requests to send additional pieces.